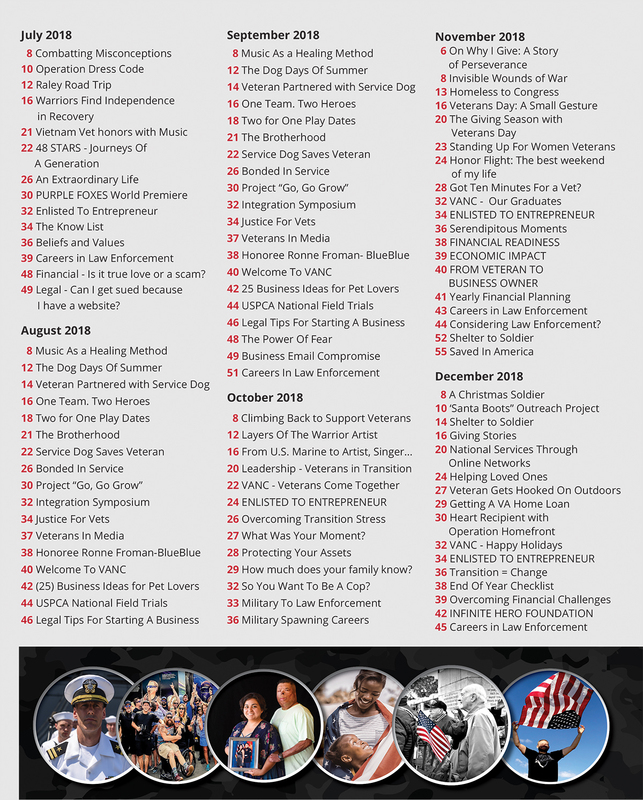 A Veterans Magazine by Veterans for Veterans. 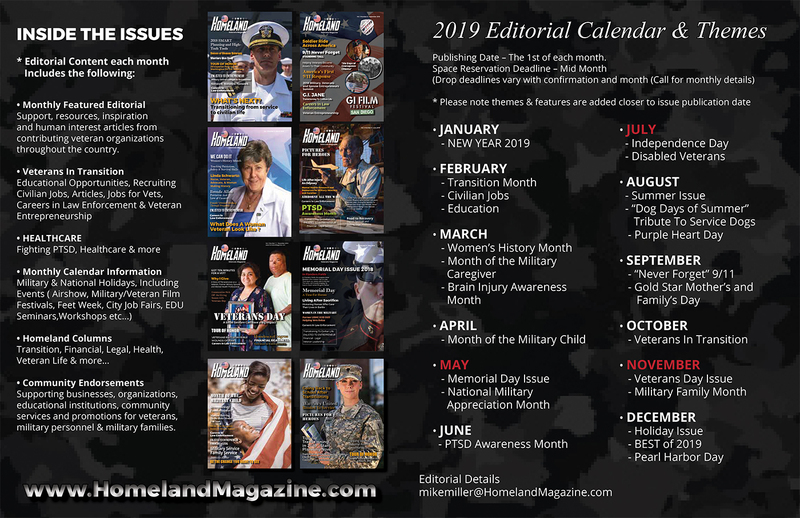 Homeland Magazine features articles on topics of interest to today’s veterans, transitioning service members, military members, spouses and families. Our focus is to provide resources, support and inspiration to improve the quality of life for all veterans. • Open Forum – You have an idea for our readers – let’s make it happen! 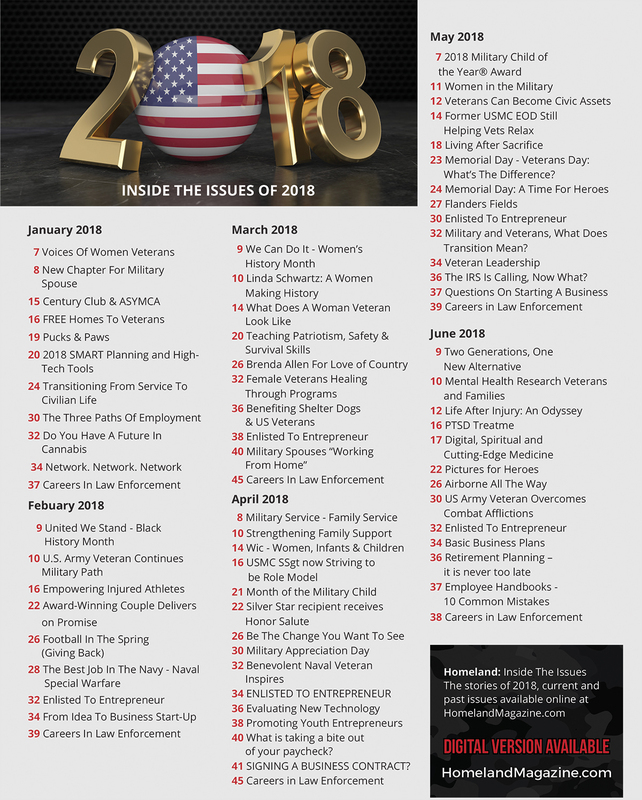 This magazine and website is supported by a distinguished list of veteran organizations, resource centers, coalitions, veteran advocates, and is driven by passion and community – a magazine that our veterans deserve. 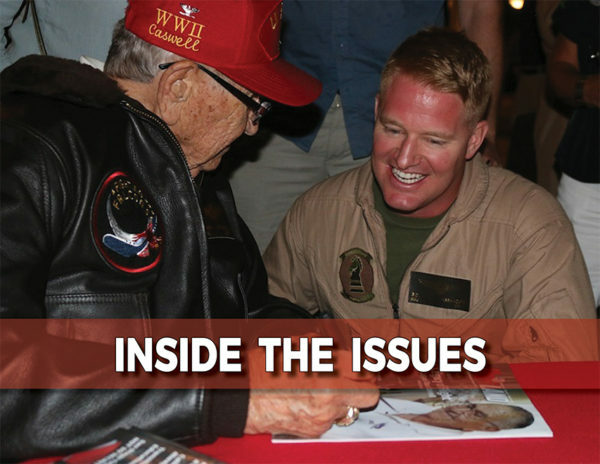 We are partners with some of the greatest good-will organizations and veteran agencies throughout the country, and with those partnerships we are held to a higher standard and responsibility to provide resourceful & supportive information to our readers. We are honored to share the work of so many committed and thoughtful people. 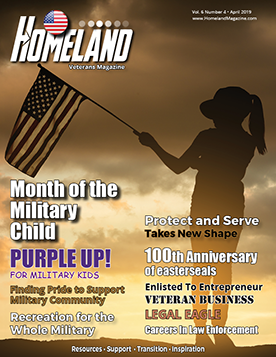 We appreciate your support and are so happy to have you as a reader of Homeland Magazine.